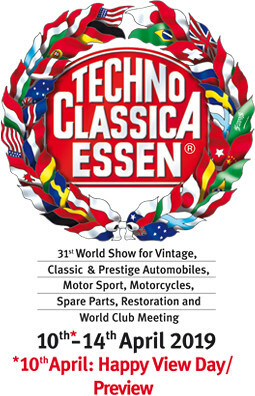 March 26, 2019 - We invite you to visit us during Techno Classica in Essen. Our lifelong passion for british thoroughbred cars has evolved into Albion Motorcars. After years in leather retrimming of bespoke vehicles and supercars, we decided to expand the business with the trade in exclusive classic cars. It is our aim to only purchase and sell the very best examples on the market, and offer our customers an impeccable service and assistance in buying or selling important motor cars. Purchasing a classic car should be a relaxing and enjoyable experience. For that reason we are happy to use our knowledge to assist our customers in this process, because only the best cars will result in satisfying ownership. So please have a look at our website and enjoy the lovely motorcars we have on offer. We are looking forward to hear from you !